The H Factor: What do you Believe? 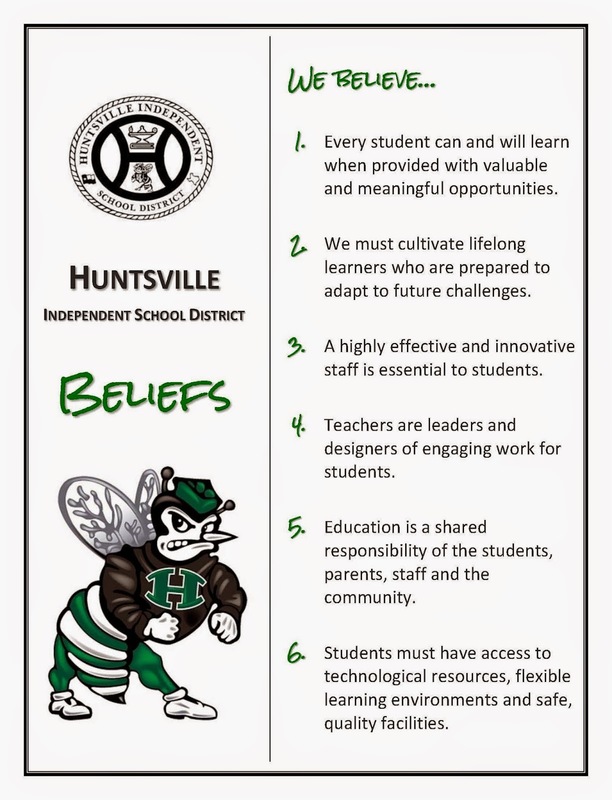 This is what we at Huntsville Independent School District believe. What do you Believe? This is what we at Huntsville Independent School District believe. Recently our district released our beliefs to the community . . . These beliefs were created by a working group of teachers, staff and administrators that spanned the district. The idea came out as many of us noticed the "old" beliefs Huntsville ISD had published no longer reflected the views of anyone on the team. Once finalized, we asked our superintendent Dr. Steve Johnson to help us create a video outlining them. Take a look for yourself.